We’re going to make you an offer you can’t refuse! 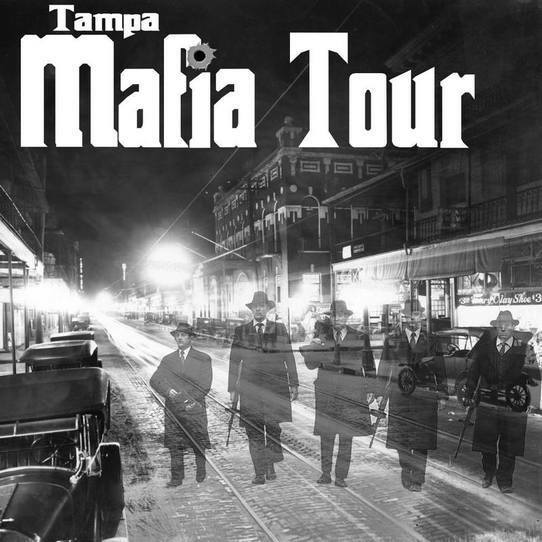 ​Santo Trafficante Jr., ​will take this group on a 1.5- 2 hour walking tour through Tampa’s Mafia history. and restaurants where wise guys like famed boss Santo Trafficante Jr. held court. Join us for this one-of-a-kind walking tour of Tampa’s most storied neighborhood. We guarantee you’ll never look at Ybor City the same way again. For those who do not like cigar smoke, we will be checking people in outside as well as inside. If weather becomes an issue, the tour will be rescheduled. Please dress accordingly as this is an outdoor walking tour. We do NOT take walk-ups you must purchase your tour date in advance.​ This is a walking tour that is about 1.5 - 2 hours long within a 1-mile radius. This tour is also wheelchair accessible. Please make sure to read instructions on your receipt when purchasing your tour date. CAFE CON LECHE FESTIVAL COMING JANUARY 2020! MORE DETAILS COMING SOON. SIGN UP ON OUR NEWSLETTER ON THE FRONT PAGE OF OUR WEBSITE TO GET UPDATES!